In the 1800’s, Lorne Park, north of Lakeshore was agricultural land, and Lorne Park Estates used to be the Hampton’s for Toronto’s elite class. As it came into the fold of Mississauga, it did not lose it’s high end appeal. 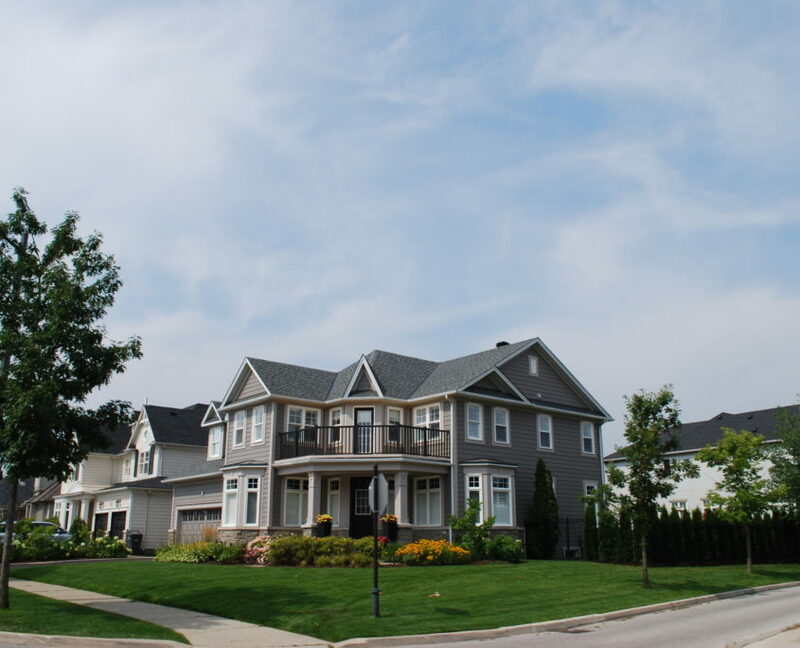 Drive through the area and it’s easy to see why; quiet streets, mature trees, character homes….quiet, elegant living. 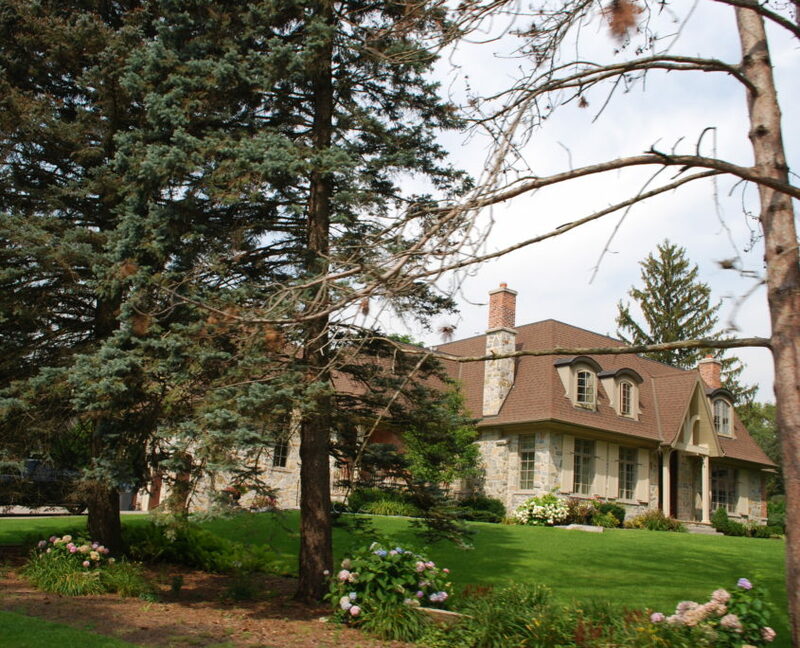 Lorne Park has grown and evolved over a hundred years. As large lots of land were sold and parcelled off, you will see the mix of original cottages, as well as builder developments from the 50’s to the 80’s. Also very common are the infilling of tear downs and complete renovations. The newest and probably last home development in Lorne Park is called Watercolours, and was built in the early 2000’s. Lorne Park is a very eclectic areas and no matter what your housing style preference, you’ll find it here. It all comes with a high end price tag as Lorne Park is unquestionably the largest exclusive neighbourhood in Mississauga. Even homes near the Highway and GO tracks come with a hefty price tag, and many homes offer privacy and seclusion, that’s hard to find in most built up urban areas. There are many older residents who have lived in Lorne Park for 30+ years and have watched their home value rise exponentially. But there are also younger families who are professionals or business owners. There’s a strong sense of community, and a large number of families given the price of the homes. This area is quite elite and there is minimal economic diversity- in other words you need money to live in this community. Residents tend to be more active when it comes to their community when compared to other areas in the city. 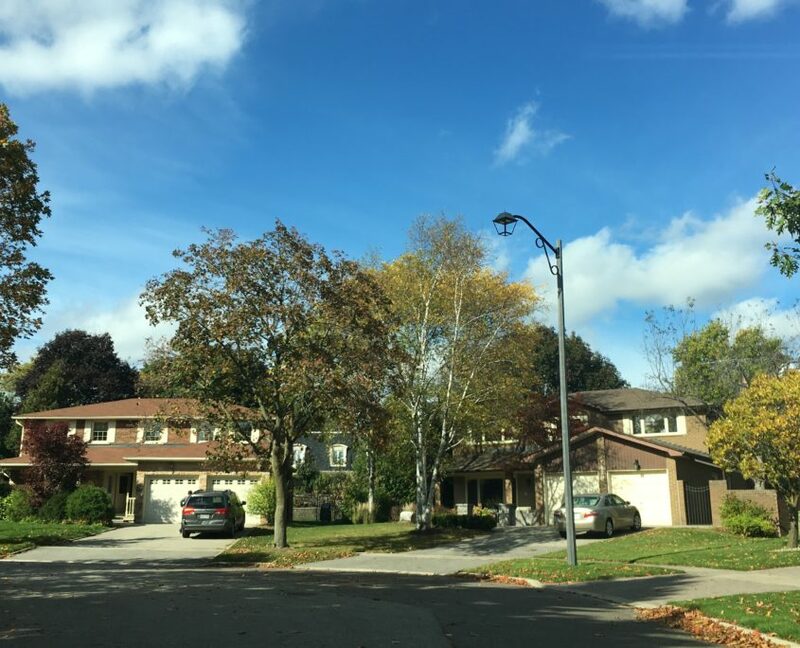 There are several home owners associations in Lorne Park, which have a strong influence on local politics and ensure the concerns of the local residents are heard. There’s a strong sense of community in Lorne Park, and joining the local association is a great way to connect with neighbours and upkeep the area. We believe that an educated buyer is a successful buyer. The more you know, the better. With our Buyer’s Program, you can access answers to all the most common buyer questions and concerns. Learn how we protect your interests with our proven system and higher standards of operation. Build your own custom home search and know we’re here for you when YOU are ready – no hassles, no pushy phone calls, just great service. 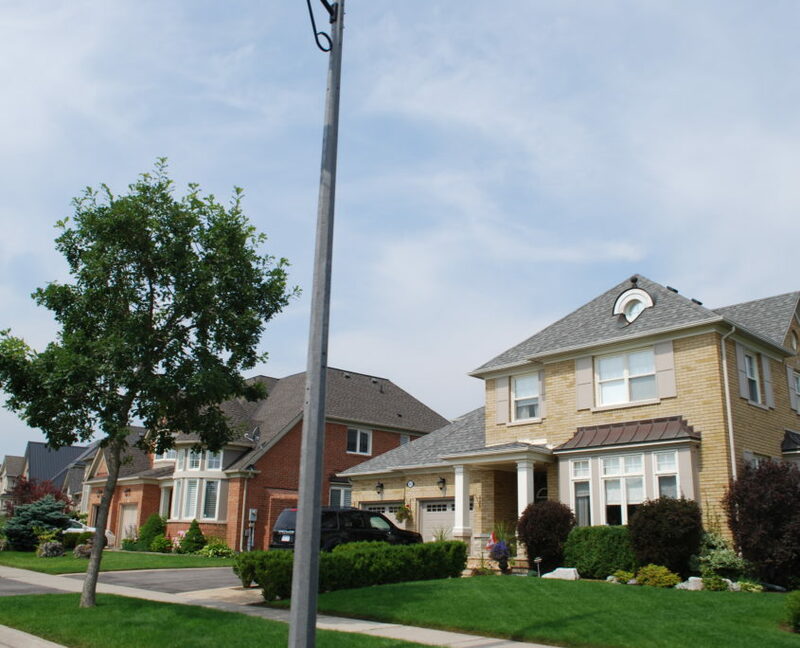 There are a wide variety of housing styles in Lorne Park , from smaller cottages all the way to estate homes. One thing all the homes have in common is that they are on average some of the most expensive in Mississauga. 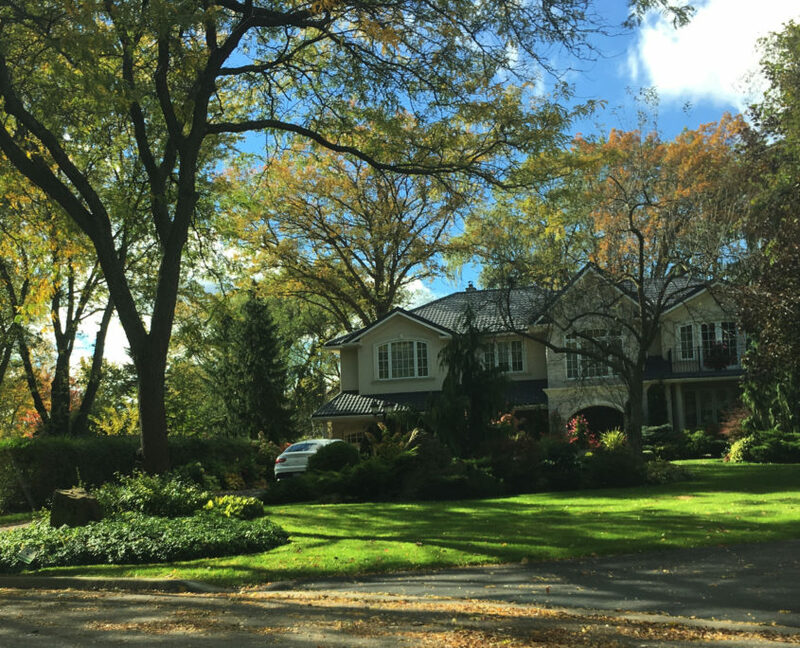 There are many pockets of older, luxury suburban homes spread out through Lorne Park. 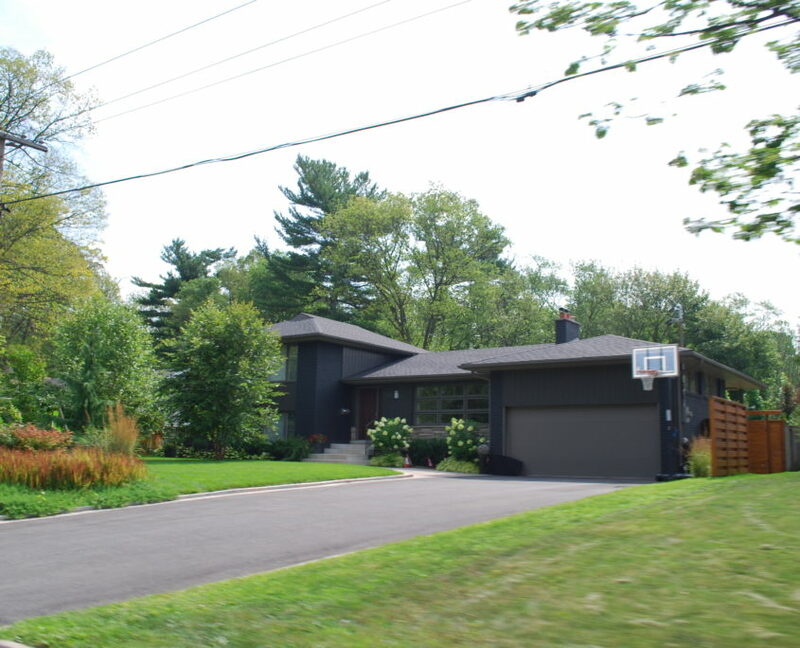 Built in the 1950’s to 70’s, these homes come in a variety of styles including wide lot bungalows, raised bungalows, side splits and two-storey. 99% of the homes are detached and they generally have very nice sized properties. Most of these homes have undergone extensive renovations to keep up with the times, and if you’re looking for and happen to find a ‘fixer-upper’ in Lorne Park, my advice is to act quickly, it won’t be there for long. Lorne Park has been a popular destination for investors and developers. Hundreds of homes have been demolished and custom built over the last 20 years, and this trend is sure to continue. There are a select few custom builders who do many of the renovations, and so a similar design theme can be seen throughout many of the custom homes. Recently, a more contemporary style home has grown in popularity among custom home designs, contrasting the widely popular and timeless architecture of french provincial and colonial style homes. The best aspect of Lorne Park is the sheer diversity of home styles, which give many of the streets immense character and charm. Lorne Park is a great option for those who want to invest in the long term and create a home of their dreams that they can enjoy for decades to come. The 135 acres where Watercolours sits today used to be a brownfield owned by Imperial Oil Refinery. This land use did not fit with the homes and environment surrounding it, and by 2001, the official plan was underway to clean up the land and convert it to residential use. Developed by Mattamey, Watercolours was the last, large scale development in Lorne Park. As described on the Watercolours Residents Association website, the homes were designed to blend in with the history and surroundings of Lorne Park, which can be seen with its subtle nautical touches and natural elements. Homes in Watercolours are large but not imposing; there’s a mix of stucco, stone and brick with thoughtful design elements. There’s also is a school and park located within the community, and there are only two roads to enter/exit Watercolours. All of this contributes to the feeling of Watercolours being its own unique community within a community. Customize your home search and receive emails as soon as new properties are listed. Change your criteria anytime & receive valuable home search tips. We’re here for you whenever you are ready to start the home buying process. Where Lorne Park is high on Good Vibes, its very low on Amenities. But is this a problem? Not at all, not when you’re Lorne Park. Lacking amenities is actually a Lorne Park PLUS, because if there are no shops and restaurants, there’s not much reason for outsiders to come into the neighbourhood. Lorne Park is about quiet, peaceful living; the hustle bustle of cars and shoppers doesn’t help that vibe. What’s more, when residents do want to go out to eat or shop or visit a park, they have the luxury and benefit of being next door to both Port Credit and Clarkson Village, or even a quick drive to Downtown Toronto for a night on the town. Lorne Park has easy access to all the best amenities the city has to offer, while still being able to enjoy the quiet lifestyle of their neighbourhood. Really, Lorne Park is only 1 rainbow-shooting unicorn short of perfection. In many other neighbourhoods, the parks and green spaces are a definite advantage, or the lack thereof, a negative point for the village. But Lorne Park is not like the rest of Mississauga. It’s a special place where many homes have a backyard oasis. We’re not talking about a forgotten swath of patchy grass with 1 lonely tree fighting for its own survival in the back corner. We’re talking an OASIS: pools, cabanas, hot tubs, lounge areas, outdoor kitchens, outdoor TVs, outdoor fireplaces. I’ve seen it all. Though it would always be nice to have a modern public park with a splash pad and play climber, it’s safe to say that the city recognized that other communities were in greater need. 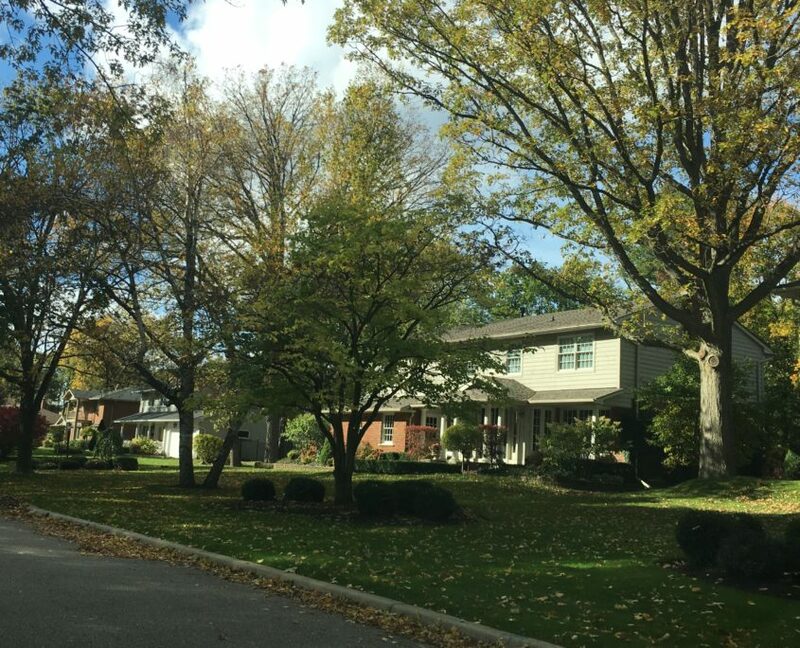 Residents of Lorne Park manage to enjoy themselves on their own private property, or getting together with friends and neighbours. Take a look at this Google Aerial below to see what is “standard” for a backyard in Lorne Park: large backyards, tall trees, and pools. Different areas of Lorne Park are walkable to either Clarkson or Port Credit, which is a rare asset that only Lorne Park or Mineola can claim. And Mineola is only walkable to Port Credit. So to see everything that is accessible to residents, its best to review the pages for Port Credit and Clarkson, which all contribute to the rich Lifestyle of Lorne Park. Those who love Clarkson, love it a lot. With its relatively affordable homes, it’s own downtown in revival, and proximity to Toronto, there is an appeal for those who still want some urban life to their style. On the other hand, there are large swatches of less desirable condos along the ever-busy GO Train, the schools for the area are not top ranking, and though the area is gentrifying, it still has some distance to go. Great for some but not for all, Clarkson is a village to watch in the future. With a history of over 300 years, Port Credit is by far the oldest village in Mississauga. Remaining an independent town until it amalgamated with the city of Mississauga in 1974, Port Credit has maintained it’s distinct character as a small urban village which is different from the majority of Mississauga’s other, more suburban neighbourhoods. The Village Guru Buyer’s Program is perfect for people who are in the research phase of their home search. Learn more about the villages, Get useful tips via email, and set up a custom home search to see new listings first. We don’t even ask for your phone number to sign up, so never worry that we will start calling you and pressuring you before you’re ready. Lorne Park Secondary school (public) is among the top 5% of schools in all of Ontario. It has always had a very strong reputation. Iona Catholic Secondary School is well respected, and fall within the top 16% of schools in all of Ontario. The elementary schools in Lorne Park are among the top in the city, and offer a great french immersion program. It is likely that you would want to drive your elementary aged children to school, as many streets are quite a distance from the schools. You would need to factor this into your daily routine. Customize your home search and receive emails as soon as new properties are listed in your preferred school catchment area. Change your criteria anytime & receive valuable home search tips. We’re here for you whenever you are ready to start the home buying process. This area is not affordable for the average family buyer. Slightly more affordable streets exist near the highway and GO train tracks, and if you want to get into the neighbourhood for the schools, then this might be worth it for you. But most homes throughout the area are well over the million dollar mark and rise into the multi-millions. Though the price is high, the value is higher. This is one of the most prestigious areas west of Toronto, let alone Mississauga. The character homes, the winding streets, the mature trees and landscaping all offer a wonderful environment to live. You can’t find living like this just anywhere, which is why it has its prestige reputation. What Are the Typical Home Buying Costs? What does Sold Conditional mean in Real Estate?